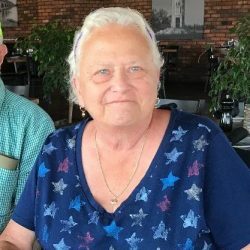 Shirley Ann Atkinson age 73 of Harsens Island, MI. 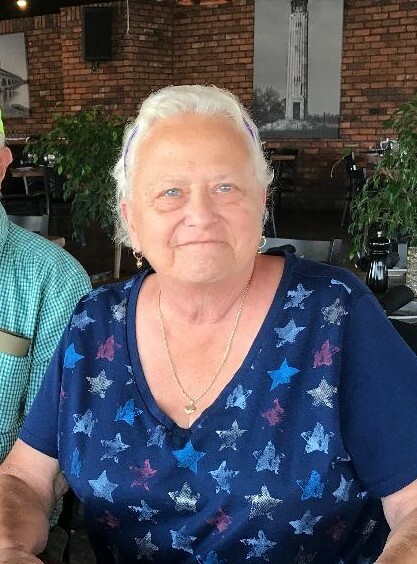 died April 5, 2019 in her home. She was born August 8, 1945 in Detroit, MI. 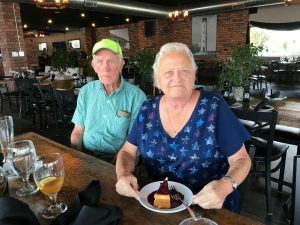 to the late Charlie and Earlene (nee Brown) Wilson. Shirley served as Dockmaster for SCYC for over 30 years, she was fondly known as the “Dock Nazi”. She also served as an Official Election Inspector for the local precinct for many years. She was active with the “Cattails” a charity group and had a deep love for animals with a very kind and generous soul. Mrs. Atkinson is survived by her husband Paul W. Atkinson, children Carl (Susan) Mount, Milissa (Daryl) DuPage, Terri (Michael) Zannetti, Wesley Stephen ( Holly) Atkinson, grandchildren Scott Mount, Jack Mount, Dylan DuPage, Spencer DuPage, Logan DuPage, Jeffrey (Rebecca) Zannetti, Kimberlee (Edward) King-Davis, Paul (Danielle) Atkinson, Joseph Atkinson, Lauren Brown, Wes (Jami) Blondin and Stacey Smith, great grandchildren Gylian King, Hailey Zannetti, Domenic Zannetti, Dominic Banton, Wesley Atkinson, Mackenzie Atkinson, and Trenton Atkinson, and a dear friend Mary Atkinson. She was preceded in death by a daughter Sherri Smith.